Residential applications such as shower dividers and fireplace screens can add a spark to your home’s décor that is unattainable with other materials. Coiled wire shower curtains add a refined aesthetic to your bathroom space with materials that only Cascade can provide. Coiled wire fireplace screens protect your home from the dangers of fire sparks without compromising the beauty of the hearth space. 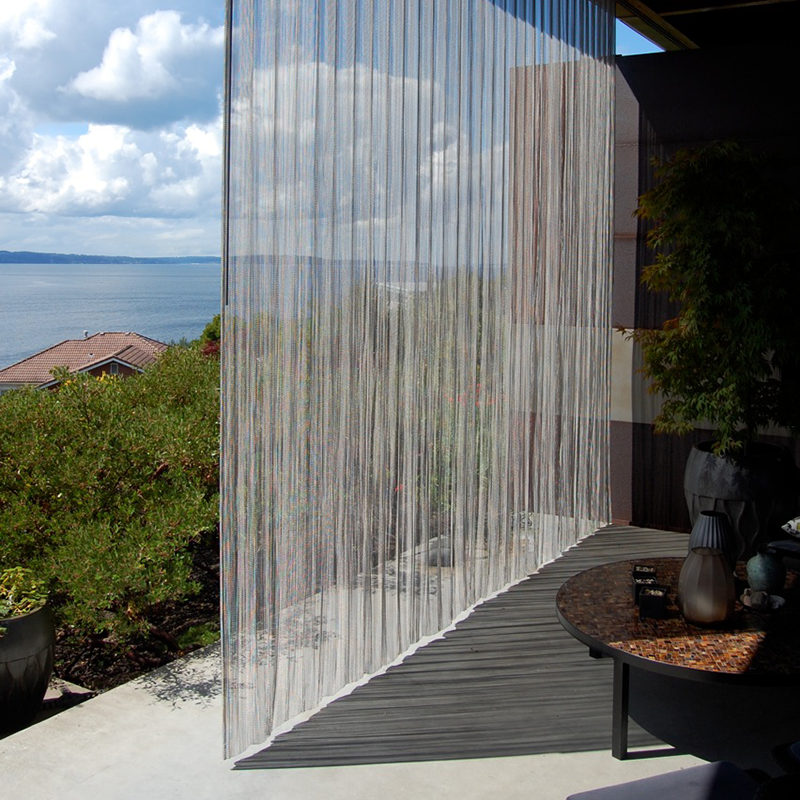 The translucent material allows full views of the fire – great for interiors or exteriors. The fireplace screens are offered in a variety of custom sizes and finishes to create the look you desire for your home. Other high-end residential applications include curtains, draperies, window treatments, and porch dividers.